Rise Against, Bad Religion, and Four Year Strong will play the massive Aragon Ballroom both tonight; and Saturday. Classixx, and Treasure Fingers are playing The Mid. Canasta, Dastardly, Soft Speaker, and Secret Colours will play Empty Bottle. Jessica Lea Mayfield, and Nathaniel Rateliff will share the bill at Schubas. Cake will perform to a sold out crowd at the Riv. Small Brown Bike, Casket Lottery, and Cheap Girls are playing Subterranean. Kid Koala, Cave, and Loyal Divide are playing Abbey Pub. Dredg, The Dear Hunter, Balance and Composure, and The Trophy Fire can be found at Bottom Lounge. Pet Lions, The Changes, and Santah will play Lincoln Hall. 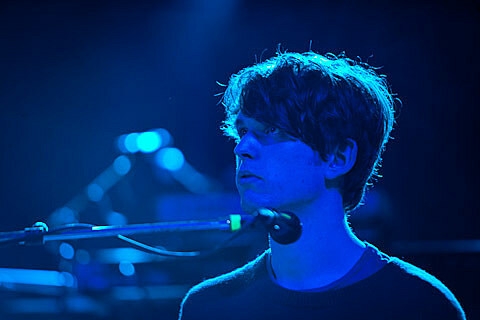 James Blake will make his Chicago debut at Lincoln Hall; supported by Active Child. After the show, he will play a DJ Set at Beauty Bar. Elvis Costello and the Imposters will play The Chicago Theatre.